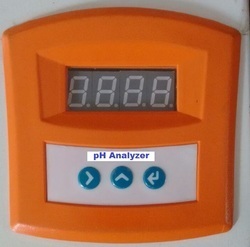 pH Analyser Salient Features & Benefits Microprocessor Based, with printer Interface. Interface Optional PC Compatibility with RS 232C Interface. User friendly, Menu driven. Measure directly pH, EMF, Temperature one at a time. Open calibration option. 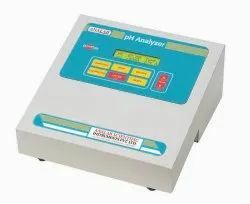 Programmable Calibration upto 3 Points for pH with Memory back-up. Our company is widely appreciated in field of providing ORP Ph Analyzer to our patrons. Offered range is reckoned for its excellent quality, sturdy body and high performance. Furthermore, offered ORP Ph Analyzer is available with us in different technical specifications suited to the diversified requirements of the clients. We offer a wide spectrum of Flame Proof IP-65 pH. These instruments are complete safe against fire and hence enjoy versatile application. The settings in the instruments easily on the dual display provided. Moreover, power consumption of these instruments is low and come at feasible prices. Hydro-guard HG-102 is a reliable and easy to use pH and ORP controller, offering low-cost and real-time monitoring for pools & Spas. Simple installation, seamless operation as well as low maintenance, make the Hydro-guard HG-102 an ideal tool for Private and public pools and spas, providing long term stability. We are the first which is providing fully Automatic online monitoring for parameters TSS, BOD, COD, pH analyzing system as per CPCB Guidelines which makes us unique from others. We have various type make and models.